My Mom’s Crockpot Nacho Cheese Dip recipe is one you will want to make for your next get together, party and or football game. It feeds a ton and there is never any left. You won’t believe how easy it is. And most importantly how delicious it is. This nacho cheese dip is both creamy and loaded with so much flavor! My guest always asks for the recipe before they leave. You can eat it with tortilla chips or pour it over burritos or tacos for more a cheesy taste. Melt the cheese in the microwave and then add it to crockpot if you are running low on time. I do this when I have last minute company. Note: You may have seen my recipe on other sites that I have shared or contributed to. 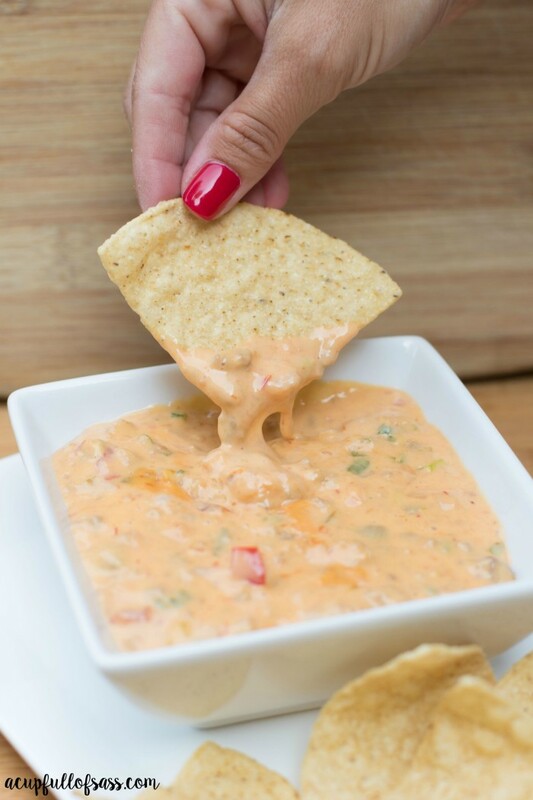 My Mom’s Crockpot Nacho Cheese Dip recipe makes the perfect appetizer that takes little effort. Add cooked hamburger, Velveeta cheese, jar of salsa, can of celery soup to crockpot and stir. Chop green onions and add to crockpot. Chop green pepper into small pieces and add to crockpot. Turn crockpot on High and cook for 4 hours or until cheese is completely melted. If you are in a hurry, you can melt cheese in the microwave and add to crockpot. Serve with nacho chips and enjoy! If you are in a hurry, you can always melt cheese in the microwave and then add it to crockpot.